We asked you to share your favourite free days in Cork city and beyond. Checking out some art at The Glucksman. IN OUR NEW You Tell Us feature, we’ll be asking you to share your own thoughts and tips, with a new question each week – based on different age groups, activities and location. Everyone is welcome to contribute, and we’ll feature the best answers in our weekly Family Magazine for thousands of other parents to read. What are the best free days out for kids in and around Cork? For next time: What are the best places around Ireland to bring the kids over the Easter holidays? To feature in the next You Tell Us, post your answers in the comments below, check out our Boards.ie thread – or email us at family@thejournal.ie. 1. Head to Doneraile Wildlife Park: There’s nice walks, a kids’ playground, deer and a cafe. 2. Have a picnic at Fitzgerald Park on the outskirts of Cork city: Chill out, walk, listen to music – or just grab a coffee (or bring your own!) and watch Cork style pass you by. 3. Visit The Donkey Sanctuary in Mallow: It’s home to 130 donkeys and mules, and there’s scenic walkways and a picnic area. Liscarroll Castle is just down the road too. 4. 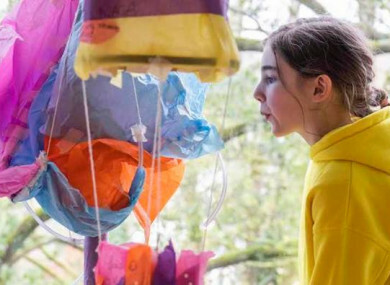 Get creative at The Glucksman Gallery at UCC: There’s a great free kids art workshop here, located in the grounds of University College Cork, on Sundays at 3pm, with lots of cutting and gluing to be had! My kids love it. 5. Get active at The Waterford Greenway: It can be accessed from several different points and each one is a new experience. We’re living in the city and there’s a few handy starting points for us. We’ve walked, cycled and scooted the whole length at different times. It’s great to see in all weathers. 6. Go on an adventure to the beach: If you don’t want to rent bikes, the part of the Waterford Greenway that seems to appeal to kids most is the tunnel near Durrow, which could be walked. Then head off to Clonea Beach to make sandcastles. For next time: What are the best places around Ireland to bring the kids over the Easter holidays?. Post your answers in the comments below, check out our Boards.ie thread, or email family@thejournal.ie. Want to win a copy of psychotherapist Philippa Perry’s bestselling new book, The Book You Wish Your Parents Had Read? Enter our competition here to be in with a chance! Email “6 totally free spots to bring the kids to in and around Cork, according to real parents”. Feedback on “6 totally free spots to bring the kids to in and around Cork, according to real parents”.